Tonsillitis refers to a condition in which the tonsils swell and become red due to a bacterial or viral infection. The inflammation may be mild in some cases, but things can become worse, causing a lot discomfort and pain. In severe cases of tonsillitis, you need to take antibiotics and pay attention to your diet as well. You cannot eat like usual because you would have a sore throat that makes it difficult to eat food. Chills, fever and jaw ache can also make things quite difficult. Knowing what to eat when you have tonsillitis can provide your body with energy to clear the infection. Let's find out more about what to eat when you have this condition. When you have a sore throat, it makes sense to eat soft foods that would not irritate your throat. 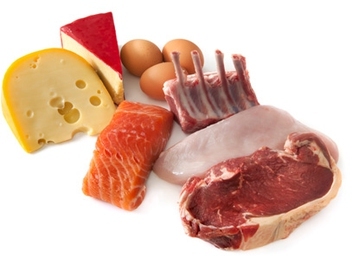 Try vegetables, broth, or meat to provide your body with some energy to clear the infection. Veggies offer several vitamins and essential minerals that boost immunity. Just do not eat these foods when they are hot. You can always enjoy soups and vegetable purees when you are dealing with tonsillitis. Some of the best options are purees with celery, carrots, spinach, and butternut squash. You can also include some chicken in these recipes to make them more nutritious. You need to increase your fluid intake to keep your body hydrated. Moreover, fluids also help keep your throat moist and make your condition less painful. You can always drink water but teas and juices may also help. To ease your sore throat, try warm lemonade with honey. Drink it four times a day for relief. That is right – ice cream is on the list of what to eat when you have tonsillitis. Just do not go overboard with the idea of enjoying ice cream. 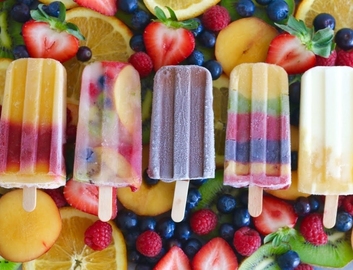 You can also opt for slushies and sorbets to help reduce inflammation and control pain. Having too much of creams and soups can keep you off from eating. A great alternative is available in the form of boiled rice. 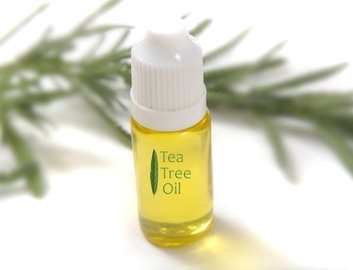 It is easy on your throat and gives you energy as well. 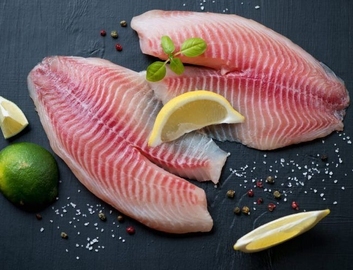 It is better to eat it plain though – you can add a pinch of salt as well as some herbs like parsley and dill. You are not going to enjoy most of the things you eat when you have tonsillitis, but boiled pasta may be an exception. It tastes good and helps relieve soreness and pain. You can swallow it with ease. Just ensure you do not add any cheese or it may stick on your throat and cause irritation. When you do not feel like eating anything, you can try boiled spinach. The best thing about boiled spinach and steamed veggies is that they have essential minerals that boost your immune system and help clear throat infections. You can have spinach soup as well – Just make the soup and add some black pepper powder for taste. It works great for your itchy and sore throat. When you do not have much time to prepare soups or something special, you can always enjoy mashed potatoes. They have all the nutrition to help treat tonsillitis, and they are filling too. Ginger is a highly effective natural remedy for tonsillitis. It is equally effective when you have other throat infections. You can always add some honey to ginger tea for better taste. Honey has antibacterial properties and works great to clear the infection. It is also a good idea to drink ginger tea. Thanks to its anti-inflammatory and antibacterial properties, you can always rely on honey to reduce inflammation and redness caused by tonsillitis. The combination of ginger, lime, and honey works great too. Ginger and lime are especially beneficial when you have an itchy, sore throat. When deciding what to eat when you have tonsillitis, just check that it is not going to be harsh on your throat. Since scrambled eggs do not irritate your throat, you can always have them to keep yourself active. One interesting food choice is plain idli, which is soft and healthy. You can even have hot idlis, but have it without any Sāmbhar. It is important to avoid Sāmbhar because it has tamarind and other spices that can irritate your throat. Not only does yogurt provides you with important probiotics, it also soothes an itchy throat. You can have yogurt when you have tonsillitis, but never consume chilled yogurt. Do not eat any solid food while you are still recovering from tonsillitis. Even when you are feeling better, you should eat foods, such as roast beef, baked chicken, whole fruits, whole grain breads, and anything that will not irritate your throat. Never eat any pizza crusts, hard crackers, and crisp cookies because your sore throat cannot handle them. Just like solid foods, you should be especially careful with hot foods. You should avoid hot liquids as well. Ensure that your drinks and food are at room temperature before you have them. Why Do I Always Have a Running Nose? 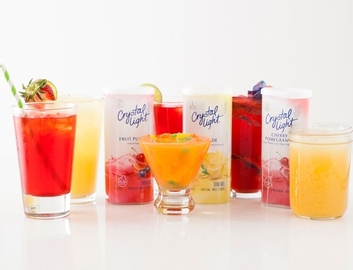 Is Crystal Light Healthy for You to Drink? 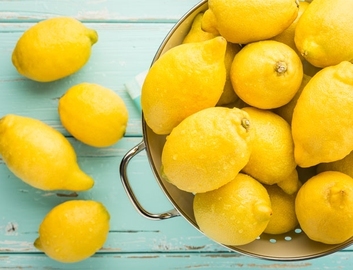 Can You Eat Lemons During Pregnancy?